Today is the last day to score this FREEBIE from CVS! 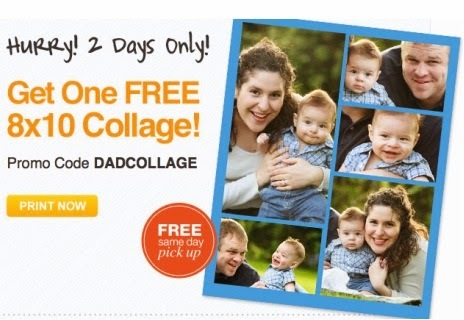 Look through your pictures and decide how you're going to make a FREE 8x10 Photo Collage from CVS. What a GREAT gift for Dad on Father's Day. Please note that you'll need to use a promo code for this FREEBIE and will need to select "in store pick-up" to make it FREE.